Metro DC Lawn and Garden Blog: Beneficial, Drought Tolerant Plants for the DC Area - Trees,Shrubs, etc. Beneficial, Drought Tolerant Plants for the DC Area - Trees,Shrubs, etc. The following is a list of native plants which are designated as drought tolerant by local sources. Additional benefits such as value for birds, butterflies, and humans are listed. Please see index to abbreviations at end of list. 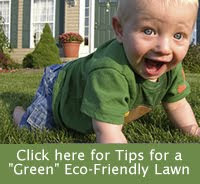 ** Note: this list was created for the Metro DC Lawn and Garden Blog and may not be copied without permission. However, please feel free to link to this page and to subscribe to the blog for future lists. Su Full Su: direct sunlight at least six hours a day. PS Partial Sh: direct sunlight between three to six hours. Sh Sh: less than three hours of direct sunlight a day. H in bird column signifies Hummingbirds. Plants which an X in the butterfly column are ofter HOST plants for specific butterfly species.